In a third-hand account of spa-going, I offer you the results from this year's list of best spas, based on a reader poll done by Conde Nast. I tried going directly to the Conde Nast site, but they offered their results with that annoying web trick of forcing you to click here, there and everywhere to see all the results. Instead, you can go to A Luxury Travel Blog and see all on one page, the top spas in the U.S., Canada, Hawaii (yes, I understand that Hawaii is part of the U.S., but I didn't make up the categories), cruise ship spas, spas in Mexico and Central America, spas in the Atlantic and Caribbean and top hotel spas. Take the recommendations with a grain of salt...or with a sugar scrub. Theses spas are not being reviewed by us skilled and trained professional journalists, you know, those of us who majored in spa going and can write about it objectively. 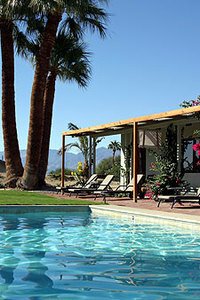 But the list of top spas at least gives you some names of places to research if a solo spa vacation is in your cards. While you're researching, of course, investigate what the solo scene is to see if you'd enjoy going alone. The sound of cross country skis in fresh snow has never mixed with the smell of the sea in my imagination. Until this year. I met up with my friends Adele and Sheara in Boston last month for our 14th annual cross country ski weekend. After an overnight in Massachusetts, we headed to Cape Elizabeth, Maine, near Portland, a new destination for us. While my cross country skiing jaunts have never been solo trips, keep reading solo travelers. Everywhere we skied, we saw solo skiers. Mostly female. Several accompanied by dogs. But clearly the ski areas are popular and safe spots for solo skiers. In Monday's post I asked you to name which item did not belong in Hershey, PA. Now for a rundown of what Hershey has, and the one thing I put on the list that it doesn't. And, finally, whether this is a place for solo travelers. Hershey has a large amusement park, as well as a minor league hockey team called the Hershey Bears. And a medical center that is the town's largest employer. There is a Chocolate Workers Local 464, the union Hershey workers must belong to. And an iceless "ice" skating rink, but let me tell ya, there is no real gliding without ice. Raptors? Yes, you'll find them there. I tried falconry and I highly recommend it. The rose-filled garden is down the hill from The Hotel Hershey and hosts many weddings. On the way to the new "cottages," which are actually modern stone buildings with luxury rooms good for business retreats, is an activity area with shuffleboard and croquet, along with bocce, horseshoes, volleyball, basketball and tennis. Shockingly non-gimmicky. There's a spa at the hotel, and the boardwalk and the tubing are at Hershey Park, the amusement park. Harvest Restaurant is under construction now and will open soon, serving food from local producers. The pond behind the hotel is filled with koi, a Hawaiian fish and the imports I mentioned? From Tanzania, Ecuador and Java? Those are the cocoas you can try during a cocoa tasting made with beans from six different countries. ME! I'm afraid no one guessed correctly and I get to keep the Hershey's chocolate bar. But, as consolation, here is a view of the wrapper I designed, which would have wrapped around your very own imported Hershey bar. As I've gone on too long already, I will save for the next post descriptions of the two things I think solo travelers would enjoy - the spa and falconry - and the things they might want to avoid. 1. Cocoa pods at The Hershey Story's (it's a museum) chocolate lab; 2. Thunder, a Harris's hawk; 3. front porch of The Cottages; 4. the chocolate tasting at The Hershey Story. When you think of Hershey, Pennsylvania, what comes to mind? Really, I want to know. I've just returned from a weekend there and having been there at least twice before, I now think of it with a new twist. But everyone seems to have their own impressions. What do you think? Is it land of chocolate? That's a given. What other impressions do you have? Talk to me. And now, here's your chance for a prize. Which one of the items in the following lists is NOT found in Hershey? There's just one correct answer. The first one to send it, either via comment or email, wins. A large amusement park? Minor league stadium? Medical center? School for orphans? A campground? An inline skating factory? Labor union? Raptors? Iceless ice skating rink? Rose-filled garden? Museum? Old-fashioned outdoor games such as shuffleboard and croquet? Luxury spa? Boardwalk? Tubing? Weddings? A restaurant with food all from local producers? Hawaiiian fish? Business retreat? Imports from Tanzania, Ecuador and Java? Name which one doesn't belong. The winner will get a prize: A milk chocolate Hershey bar imported directly from, um, Hershey. By me. Wrapped in a one-of-a-kind wrapper I created myself at The Hershey Story, a museum on Chocolate Avenue. At one of the interactive exhibits. I will send this unique chocolate bar to the first person who correctly names the one item/answer that doesn't belong. One, how well is a chocolate bar going to hold up over days and days during a trip overseas? And two, I have found from experience that non-Americans are not enamored of Hershey's chocolate. It tastes odd/unpleasant compared to what they're used to. So why waste the postage? The exhibit allows you to email your creation to yourself and print it out in the perfect size for a regular-sized chocolate bar. Contest rules: Employees of Hershey and its affiliates not eligible. haha. Photos: Ellen Perlman. The Hershey Hotel, from the front and back. The Top Ten Solo Traveler Destinations - says one company's "adventure consultants"
Bora Bora in French Polynesia. Serengeti, Tanzania. Phi Phi Islands, Thailand. All destination favorites of the folks who book the tours at iExplore. Take it with a grain of salt, naturally. It's likely to be biased because it's put out by a company promoting tours to certain places. And yet...it IS a list of great places. "With more language schools per capita than anywhere else in the world, it is no wonder Antigua is a favorite stop on the gringo trail for solo travelers. When not studying, you can climb volcanoes, hike, go drinking, and visit with the remnants of the Mayan culture." A friend of mine toured Antigua with his wife last year and he noticed students of all ages sitting on lawns in the front of houses practicing Spanish one on one. Presumably with hosts they were living with for the week or month while they went to language school. It's high on my list of places to go to learn Spanish. Another friend, who I went to Thailand with, traveled solo to the Phi Phi Islands (pre-tsunami) after I flew home from our trip together. She raved about the excursion. She's a pretty outgoing person and that helps. But the Thai people I met wherever I went in the country were friendly and welcoming. Santa Fe, New Mexico, another recommendation on the list, would be a great place to go to a spa solo. Eat Tex-Mex. Buy silver jewelry and belt buckles. Mix with the one-third Angle, one-third Hispanic and one third Native American population that lives there. Relax in the adobe splendor of it all. I went solo to Santa Fe before joining a hiking and biking tour with The World Outdoors, which I think was called Roads Less Traveled when I went with them. I didn't love the group on that particular vacation, so I couldn't wait to be on my own. There you have it. A few more vacation spots to ponder. Prologue: The heart-wrenching break up. Leslie Keough's 30th birthday was coming up and her boyfriend was going to take her to Palm Springs. Then it all "kind of fizzled." But we don't focus on the prologue here. We move right along to the restorative part of things, where solo travel is the balm to the soul. Or comes to the rescue. Or however you want to put it. All Leslie knew was that 30th was drawing near, the boyfriend was a goner and she didn't feel like explaining quite yet what had happened. Not to her girlfriends. Not to her mother. Not to anyone. Off she went to The Spring, a secluded resort in Desert Hot Springs, California. By herself. She hadn't known about it before finding it during her research. Now she raves about it. Although it's set in a neighborhood, once you're inside the walls, it's completely secluded. Part of its beauty is the simple, clean lines of the place, says Leslie, an artist. It has only 10 rooms, so no busy comings and goings. Just nice people, she says, wandering around in robes. "You enjoy your solitude without ever feeling lonely." The best part was being decadently alone. As in not having to talk to anyone or make many decisions. Just do what she wanted to do, in a new place. "I wanted to be in an environment inspiring to me that didn't remind me of him." Once she found it, she burrowed in. Spa guests are served a continental breakfast. Other than that, there are kitchens provided or people go out to eat. Which means, very few deadlines. Or set times for things. There's all day to relax under palm trees or drift off in thought or sleep in a hammock. In between spa treatments. Leslie's room had no TV or phone. That may not suit everyone. But it helped her get started on a project she'd been mulling for a long time. Seven years ago she was in a serious motorcycle accident and was hurt badly when she was propelled off the back of it. Without getting into detail, she suffered hemorrhaging, burns, road rash and more. She had no short-term memory for six months. About three years ago, she decided she wanted to write a book about what happened. While she was at the spa, without the constraints of daily life, work, friends and family, she finally had time to sit down and start to tackle it. "I decided to work on my passion project." She wrote a book proposal while at The Spring. Her stay "allowed me to focus on my project and my personal goals. It allowed me to reprioritize things." She also spent her time in the mineral pools, having spa treatments, sleeping well and meditating. She lost several pounds. And she felt some of her anxieties fade away amidst the grass and the flowers of the unpretentious resort. "This spa was perfect for what I needed."